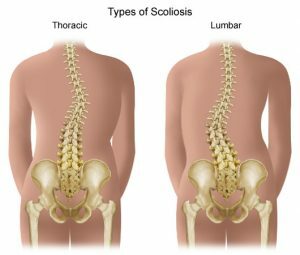 What is Juvenile idiopathic scoliosis? Juvenile idiopathic scoliosis is diagnosed when scoliosis of the spine is apparent between the ages of 4 and 10. It is less common than adolescent idiopathic scoliosis and comprises 10-15% of idiopathic scoliosis cases. It is found more often in boys between the ages of 4-6 and curves tend to be left sided, while in older children it is more common in girls and curves are right sided and similar to adolescent scoliosis. What causes Juvenile idiopathic scoliosis? The word “idiopathic” literally means “of unknown cause” and the exact cause of the condition is still unknown. It is widely recognised amongst researchers that the most likely factor in the development of Juvenile idiopathic scoliosis is genetic inheritance, although more research will be required to establish this as absolute fact. However, because scoliosis does not occur in every generation, not every person expresses these genes to the same extent. What is thought to occur, is that there are either internal or external factors that activate these genes causing scoliosis to develop. How is Juvenile Scoliosis diagnosed? The signs of juvenile idiopathic scoliosis are often first seen by the parents, teachers or coaches of children, who may notice a rib hump, uneven shoulders or hips. It may also be found in scoliosis screenings conducted by health professionals when they are performed throughout schools. A simple test, known as the “Adam’s Test” is routinely performed. Where the child is asked to bend forwards from the waist and then hips, the shape of the spine and ribs is then observed. If one side of the rib cage or lower back is noticeably more prominent or humped the test is regarded as positive and the child should be seen by an appropriately trained health care professional. As Juvenile scoliosis is relatively uncommon, it is always important to rule out any underlying neurological conditions which may cause scoliosis. For this a MRI or CT scan may be recommended. Like in most cases of idiopathic scoliosis, juveniles only occasionally suffer from mild back pain or stiffness. So, the most common symptom is postural distortion and unevenness. Since juvenile scoliosis onsets at such a young age, the risk of progression is typically very high. As the earlier the onset, the more time the body has to grow un-evenly and the scoliosis has to progress. In the treatment of Juvenile scoliosis, the risk of progression must always be considered. These risk factors include an earlier age of onset and a family history of scoliosis. In smaller curves of 10-20 degree’s, observation may be recommended or when children are old enough and able to perform them correctly, scoliosis specific self-corrective exercises can be taught. In curves which are over 20-25 degree’s, plastic bracing or serial casting may be recommended. A rigid over-corrective Scolibrace, can help to control the growth of the spine, so that the curve can be stabilised and progression slowed. By slowing the growth of the curve, it may then possible to be put further bracing on hold or delay surgical straightening of the spine until the child is older.